Well, our 5 to 6 inches of snow is nothing compared to what they are getting out east. My dad in Pennsylvania has a foot already and still coming down at 1 to 3 inches an hour! Yikes. I am glad we don't get snows like that. We are just cold and dreary today with our bit of snow on the ground. 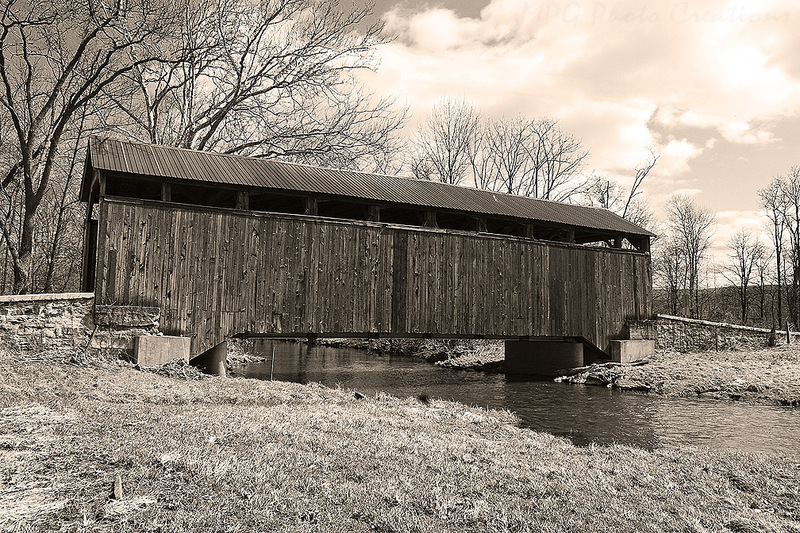 Today's image comes from a tip out to PA and an outing to view covered bridges in the central part of the state. A large number of them have been kept up and restored and painted but this one, the Mount Pleasant, was very worn and faded looking so I decided to turn it into a monochrome image that I thought worked fairly well. 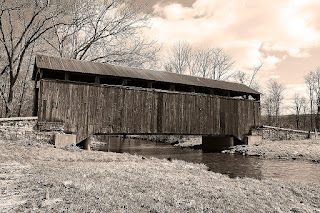 I gave it a sepia tone as well.